As an alternative to our standard four or five day courses, J/World also offers most of our classes on the weekends as well. Some weekend workshops are part of a sequence, and simultaneously self-standing classes. Sailors can take the full course (i.e. Learn-to-Sail) or just one weekend (such as the Fundamentals Weekend). Sequence courses do not have to be take on consecutive weekends, however they should be taken fairly close together. 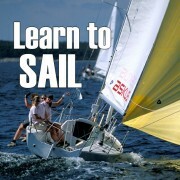 We have been teaching sailing for over 30 years, and are repeatedly tapped as the best sailing school in the business. Regardless of your ability level, we have courses designed for you. Whether you are a first time sailor in a learn to sail class or a long time mariner looking for some adventure sailing, J World Sailing School and Club can broaden your horizons. Get started right. This is where to start if you are a complete beginner or if you have some previous light experience. This course is good for those who might know the fundamentals, however have not practiced some of the essential skills. It can follow the LTS I above to earn the Basic Keelboat Certification. In our Advanced Boathandling Weekend Course, you will practice your boat handling skills, refine your sail trim techniques, and be introduced to sailing with spinnakers. Be prepared: we get into the finer points of how our sails work and really understanding how to control and use the power of the rig across a variety of conditions. 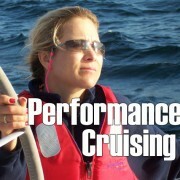 Performance Cruising builds on the fundamentals and introduces larger and more complex vessels. Curriculum for this sailing course covers advanced sail trim, seamanship, and boat mechanical systems, and will give you the skills for sailing a larger boat. 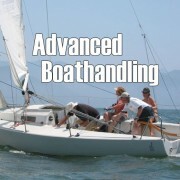 Includes the US Sailing Basic Cruising Certification. This course steps aboard a 32-36 foot vessel to introduce auxiliary inboard power, wheel steering, and the onboard mechanical tools necessary for dealing with the increased loads. This sailboat cruising and daysailing course concentrates on many aspects of sailing and introduces skills that bareboat charter companies are looking for before accepting you as a potential sailboat charter client. 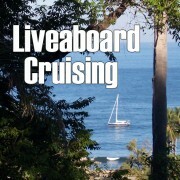 Our three day (Friday-Sunday) Liveaboard Cruising course takes the instruction underway. Perfect for sailor moving up to larger boats, wanting to experience shipboard living, or looking to become qualified to Bareboat charter with companies worldwide. The J/World Race Boat Handling weekend is the perfect place for skippers and crews to polish their skills which will get them around the course faster. Spinnaker and sail handling, crew communication, workflow analysis, mark roundings, boathandling drills, etc. are all standard. Our coaches are experts on building competitive team members, and competitive teams. A maximum crew of four per boat insures you will stay busy, and since we rotate each team member through all the positions, you walk away with a comprehensive understanding of what it takes to get a boat around a course quickly. 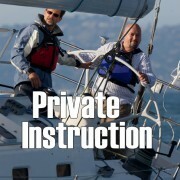 To meet the specific needs of clients, we also offer private instruction and coaching. The schedule and curriculum is custom tailored by out professional staff to insure that goals are met. 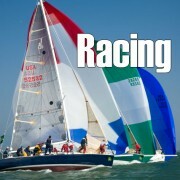 Sailing, racing, and cruising instruction available. 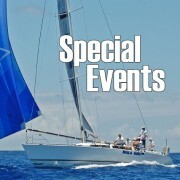 From offshore cruising to grand-prix racing events both offshore and around the buoys, J/World offers a wide selection of special events. Come and have a great experience with us. Leave taking a whole new wealth of knowledge and experience from our staff.